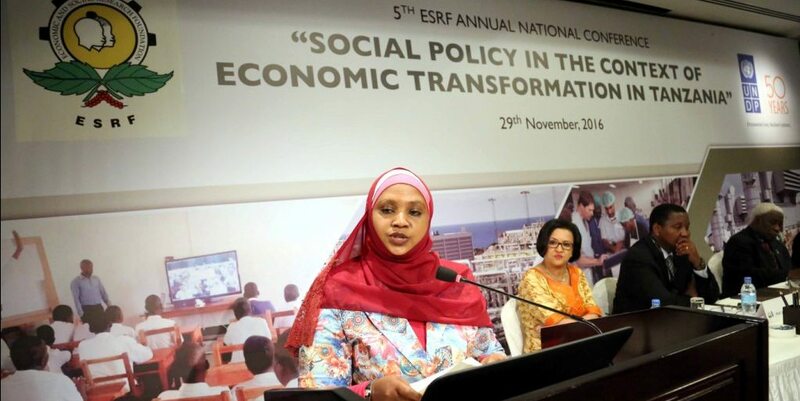 In November 29th, 2016 the Economic and Social Research Foundation (ESRF) invited the scholars, policy makers, researchers, private and civil society practitioners for the 5th Annual National Conference to deliberate on the various papers of issues of national interest and human development. 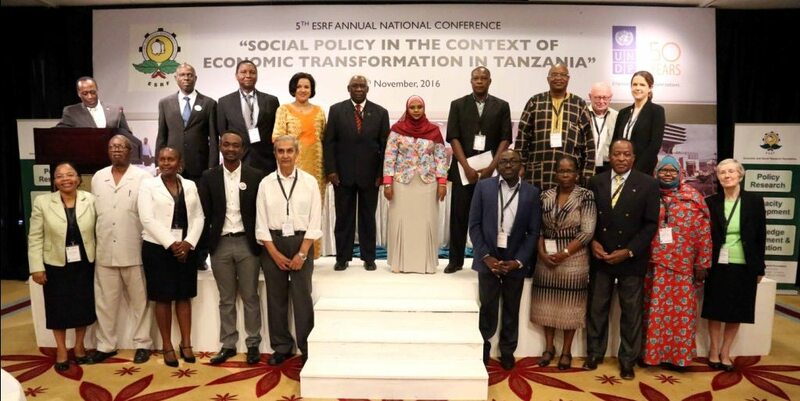 The National Annual Conference which was organized by ESRF in collaboration with the United Nations Development Programme (UNDP) came ahead of the Tanzania Human Development Report 2017 (THDR) planned to be released next year, bearing the theme "Social Policy in the Context of Economic Transformation in Tanzania". The conference was officiated by Hon. Dr. Ashatu Kijaji, the Deputy Minister for Finance and Planning at the Hyatt Regency, the Kilimanjaro Hotel. The Guest of Honour commended the contribution played by research organizations in the country and the role played by scholars in augmenting efforts by the government in serving her people. According to Dr Kijaji, the country highly depends on the work done by researchers and scholars in human development. In her welcoming remarks Dr. Tausi Mbaga Kida, the ESRF Executive Director said that the aim of the conference was to present and discuss 11 background papers of the Tanzania Human Development Report 2017 with development stakeholders for the purpose of informing policy on issues of national interest especially on social policy and human development nexus in the country.